Grow lights or artificial lights as we call it, is one way of replacing the natural light. It can emulate the sunlight in terms of spectrum and intensity. Without the right amount of sunlight, the growth will be sustained. In the case of herb plants, the taste may not be ideal. 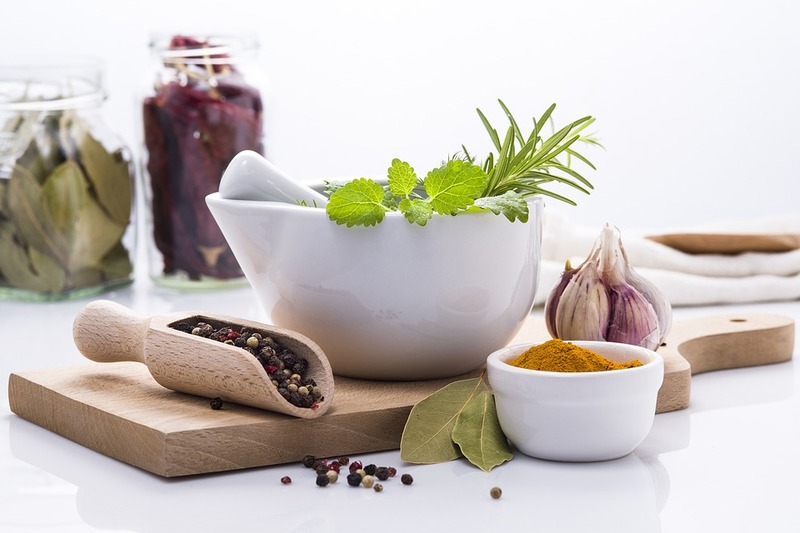 Sunlight helps herbs produce the oils that give them their distinctive flavours. For the love of cooking with fresh herbs, growing herbs indoors year-round will ensure that you have them at your fingertips as and when needed. Choosing the herbs that can grow indoor and year-round will increase your success rate of growing them. Coupled with the help of a grow light, you will have plenty if not sufficient of fresh herbs in hand for your daily cooking needs. 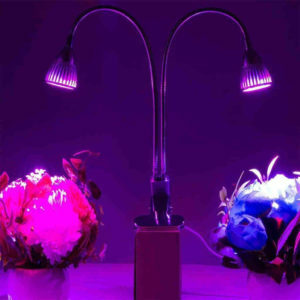 I have explored a selection of grow lights that give your plants all the lights they need. Read on to find out which one works for you. 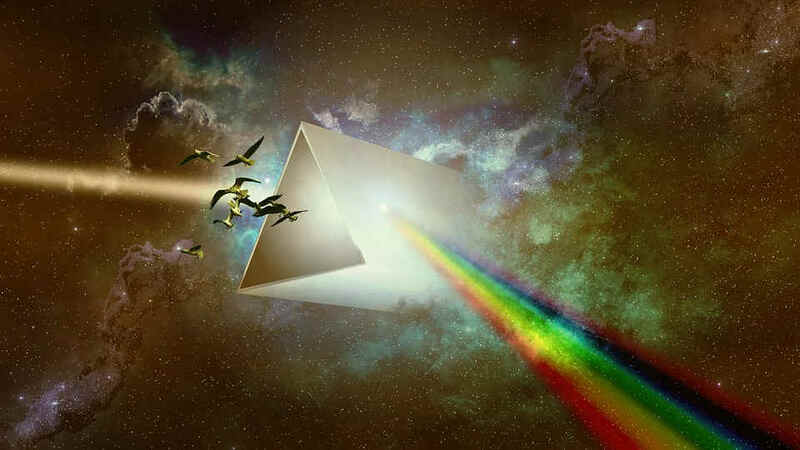 Looking at sunlight through a prism, you will find a full spectrum of colours. Most familiar to us as rainbow colours which we can see. Infrared (red light) and ultraviolet (blue light) cannot be seen with an unaided human eye but both play their part in the plants’ growing process. Infrared light provides heat. An appropriate amount of it will regulate stem growth and flowering response. Ultraviolet light (UV) is responsible for leafy, green growth, especially herbs and vegetables. Also, it stimulates the production of essential oils (flavours) in herbs and other components that are good for our bodies including anti-oxidants, anti-inflammatory among others. The correct amount of infrared light is important for indoor plants. Short exposure to infrared light alone will increase the growth but exposed too long will develop stems that are spindly or leggy. For this reason, incandescent or fluorescent bulbs may not provide the correct amount or type of light. You would want to use the best grow lights for indoor plants which are specially made for its purpose. Light bulbs for indoor growing provide a specific spectrum of light needed for the different phases of their growth cycle. So you ask, what type of grow lights should I get for my herbs? Here goes. Incandescent grow bulbs is the least expensive of grow lights. If you are just starting out, I am sure you would not want to spend a lot. 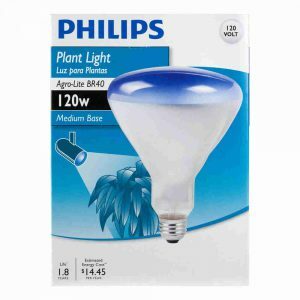 The Philips Plant Light provides adequate heat for plants to grow, specifically in the seedling stage. However, the heat may be too much for herb plants that you are propagating or those that are in the early stage of sprouting. In this case, you will have to remember to regularly adjust the height of the bulb from the plants. You don’t want to burn the tender foliage. Ideal for use in recessed cans and track light fixtures, the average lifespan is 2,000 hours but there were some reviews on Amazon, it does not last until then. The number of hours used per day affects the average lifespan. Overall, this may be the most economical grow light and easy to use, but the cost of replacement will add up. It is good for winter use but NOT if you need it year round where your window sills do not receive sufficient sunlight. Fluorescent grow light is an affordable option for beginners though not the cheapest. It is better than incandescent grow bulbs which tend to overheat. Most high output (HO) T5 grow lights offer a rated hour life of 20,000 hours which you will save on replacement cost compared to 2,000 hours of the grow bulbs. This Sun Blaze T5 Fluorescent Grow Light is 2 feet long with 1 lamp. It is an excellent and ideal light source for growing plants, creating the perfect humidity and temperature for seedlings especially fresh cuttings. You may place it close to the plants since they don’t produce much heat – most suitable for growing herbs. The daisy chain feature allows you to add multiple lighting fixtures should you want to expand your indoor herb garden. Once you get your first indoor herbs growing, I am sure you will be motivated to grow more. Overall, T5 fluorescent grow light is an affordable choice for small gardening or keeping a couple of potted herbs running year round indoors. If this Sun Blaze T5 Fluorescent Grow Light 2 ft. Fixture │ 1 Lamp │ 120V does not suit your needs, check out the range of the Sun Blaze T5 HO Light solutions. This grow light system maximizes the germination rate and is great for seedlings, cuttings, veggies, flowers, herbs, greens, and more. It features a high output T5 full daylight spectrum bulb for faster growth and the cool running design lets you position the light closer for healthier, hardier plants. 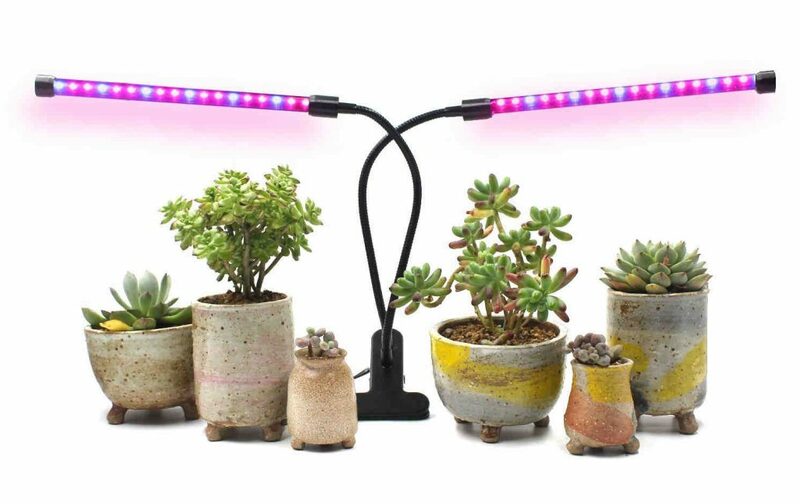 Included is the adjustable stand that allows you to move the light up as the plants grow. For a price tag of between $60 – $70, inclusive of the fixture, tube and adjustable stand, this is a good buy. 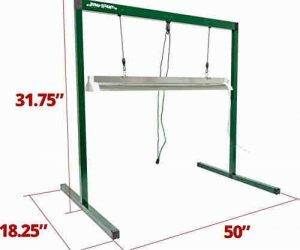 It saves you the trouble of looking at ways and where to mount your grow light. LEDs use a lot less electricity thus their operating cost is much lower than fluorescents. Adding to its savings, the average lifespan of 50,000 hours is the longest compared to other grow lights. Additionally, the full spectrum provides plants of all stages with everything they need in the natural sunlight. 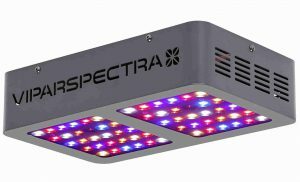 This Viparspectra Reflector-Series V300 LED Grow Light was engineered to keep the balance of the PAR Output and Coverage. PAR is a measurement of the intensity and coverage of the light. This design ensures that the light will not be too concentrated in the middle of the growing area which results in stunted growth and burn the plants. Built-in high-speed quiet fans and upgraded aluminium cooling heat sinks ensure that the LED panel does not run hot or burn your plants. With this heat dissipation system, the light stays cool and very quiet. At any time, you can add additional light fixtures using the daisy chain feature. Although this grow light is rated for 300-watts output, it only consumes 136 watts of energy. In this case, more savings for you. In the long run, LED grow lights are more energy efficient and they offer an ideal light spectrum range for herbs. 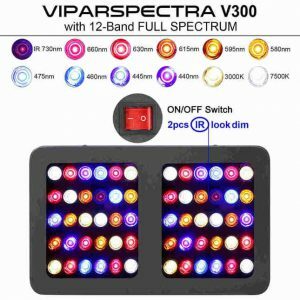 By far the most expensive thus it is better to start with this simple but efficient Viparspectra Reflector-Series V300 LED Grow Light. LED lights are becoming more and more common in indoor growing which its benefits were explained earlier. But for any of you who wants to start growing your own indoor herbs or any plants, money spent on buying all the equipment will add up. Hence, it is smart to start small. Do you still want to use a LED Grow Light? Of course, you do, but it needs to be affordable. There are many varieties of LED Grow Lights in the market, some pretty affordable. However, they are not full spectrum. Nevertheless, infrared (red) and ultraviolet (blue) lights are sufficient if not ideal for the growth of your herbs. 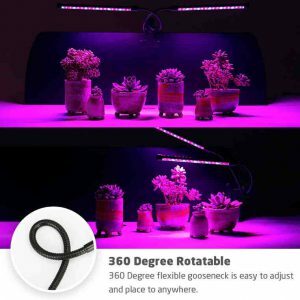 The 360° flexible gooseneck makes this Dual Head Plant Grow Light with Double Switch easy to position the light in any direction. Simply clip on to furniture or fixture using the metal clip which is foam padded. This protects the furniture from being scratched. The double switch is a good feature. You may choose to either on one or both the lamp head depending on the need. Priced at approximately $21, this is by far one of the best grow lights for indoor plants in the LED category. A great product for starters. You may need to upgrade though if you plan to expand in growing more herbs later on because by then you will need a wider light field. If so, you can always buy another of this besides upgrading to a full spectrum LED grow light. The choice is yours. This Dual Head LED Grow Lamp is a little bit more expensive compared to others in the same category that is dual head LED grow lights. The following features are the cause. Timing function. The light can be programmed to on for 3, 6 or 12 hours. It will shut off automatically. However, it does no on automatically. You will have to on it manually and set the timer again. Well, at the push of a button and the fairly reasonable price, it is doable. Level of brightness. It has 5 dimmable levels at 10%, 30%, 50%, 70% and 100% so you can adjust the brightness according to the plants’ needs. 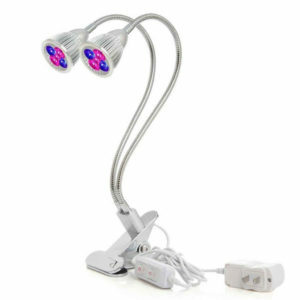 Other features of this grow light are mostly similar to other products of the same category. Dual switch control. Gives you the option of using a single or double lighting depending on how my plants you have or each plant needs for light. 360-degree flexible neck. Allows you to adjust the positioning at ease. Clamp design. It offers 3 placement ways including stand, clip and hangs. If you are using the stand method, it does not stand too well. You will need to position both the dual headlamp in such a way that they create the correct balance. Also, the clamp is hard to open. A certain amount of strength is needed but it goes to show that it is much secured when clamped onto the shelf or any fixture. USB connector. With this feature, you can choose to plug into a USB interface besides the wall outlet. Note that the input voltage to the USB adapter MUST be 110-120V. Overall, this Dual Head LED Grow Lamp may be a bit pricey but the lifespan of 50,000 hours is worth the replacement cost. Furthermore, the timer is a value-add. You don’t need to worry about forgetting to turn off the light. No doubt you can buy an inexpensive timer separately, the cost of it will add up to match the price of this product if not more. The incandescent bulb is the old-style light bulb that has been around for decades. You could use it for growing indoor plants but the amount of heat generated would be quite excessive. Additionally, it is inefficient and costs you a lot more on energy bills and replacement. In the long run, replacing the bulbs will produce a lot of waste. This may be used during winter months as it usually burns out come spring. Also, if you are starting out your first herb plant indoor and have limited access to sunlight, this is the most economical to try out. Fluorescent light dominated office interior lighting and was not of much use for growing plants indoors previously. However, advances in its technology have produced tubes called T5 which are more efficient and can be useful for growing plants indoors. Though, it may not produce the best result for your herb plants compared to full spectrum LED grow light. The price of full spectrum LED is much more expensive but last a lot longer. Furthermore, being full spectrum, it provides different colours which are needed during the different cycles of the plants’ growth. The alternative for a cheaper LED grow light would be the ones that are not full spectrum. 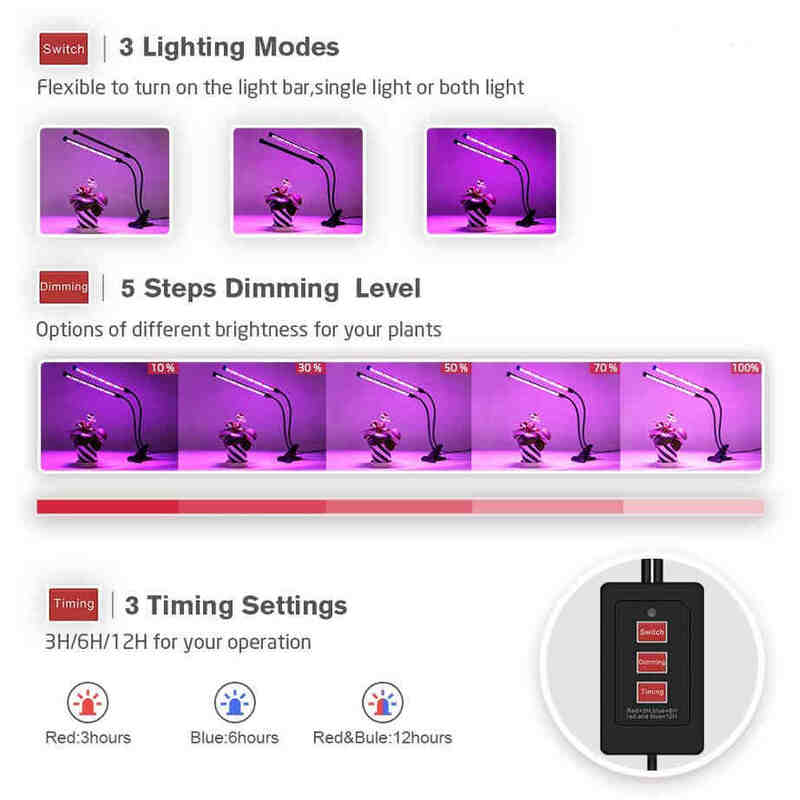 In terms of practically, functionally and affordability, the stand-alone grow lights, Dual Head Plant Light with Double Switch and Dual Head LED Grow Lamp with Timer are by far the best grow lights for indoor plants. These are more convenient than the ones that only come with the bulbs or tubes and fixtures which you have to prepare your own bulb connecting source and mounting or installing. 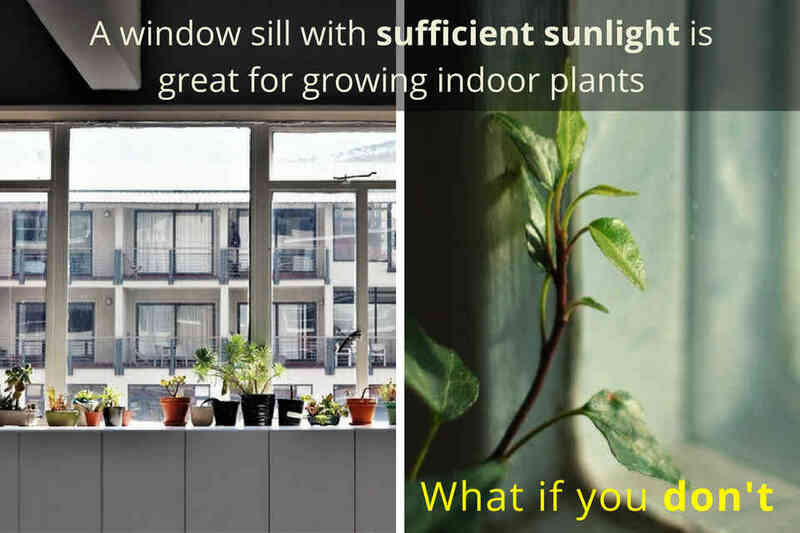 All I want is to give my indoor herbs sufficient light to grow healthily indoor year round without having to go through all the hassle of connecting cables and mounting. Is this what you wanted? I hope this article has given you a basic understanding and idea how the different types of grow lights work while helping you to make a better decision in buying your grow light. You may search for your grow light here. I am leaving you with some Light Placement Tips and you may not leave without leaving your comments 🙂 Are you growing herbs indoor or intend to? What type of grow lights are you using? Please share your experience with us in the comments section below. 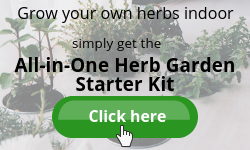 Click here to find out more about how to grow herbs indoor year round or you may be interested to find a healthy way to use common cooking herbs, click here. I so appreciate this tremendously informative post on the best Grow lights for growing herbs indoors. I would love to have fresh herbs readily available for cooking but I don’t have anyplace that gets enough natural light. The Dual Head LED Grow Lamp looks perfect. I haven’t seen anything like this that didn’t require any mounting or installation. Thanks for the great info! I am glad you found this informative.With its timer and 5 dimmable levels of brightness, it is a good buy. Most importantly, it is convenient, practical and functional. 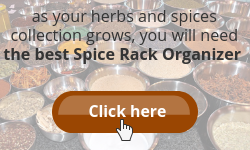 Drop by periodically for more articles on herbs and spices. This is a LOT of great information on lighting for indoor plants. I have one question, if my herbs are sitting in the window sill, do they still really need additional lighting? Or are they okay this way. I ask this because I just bought some herbs, as I want to start cooking with them instead of using dried herbs. Great to have you here again, Matt’s Mom. It depends on how much sun exposure you are getting at the window sill and type of herbs you have. For example, rosemary & thyme need at least 6 hours of sunlight and mint & parsley at least 4 hours. If you have these and the herbs are growing well from your observation, grow light isn’t necessary. I have written an article on how to grow indoor herbs year round which you may want to read for more information. Should you need any help, please feel free to contact me. My dad grows things indoors. I think they are pea shoots that he can add to his salad. They do taste pretty good when I had a few of them a couple of day ago! Hope your dad finds the information useful. Great to have veggies from garden to plate. I never paid much attention to the lightning for my indoor plants….I see now how much difference the proper light can make. I prefer something that doesn’t require a complex installation so i’m very glad you included plenty of options. Thank you so much for this info! I look forward to more great posts! You are most welcome and I am glad the article gave you some “light” on the different options. Different type of plants require different environment, lighting or sun exposure, soil and water affects the growth. Watch your plants grow and adjust accordingly. It is so good to know that you can grow indoor plants and it is all made possible by grow lights. 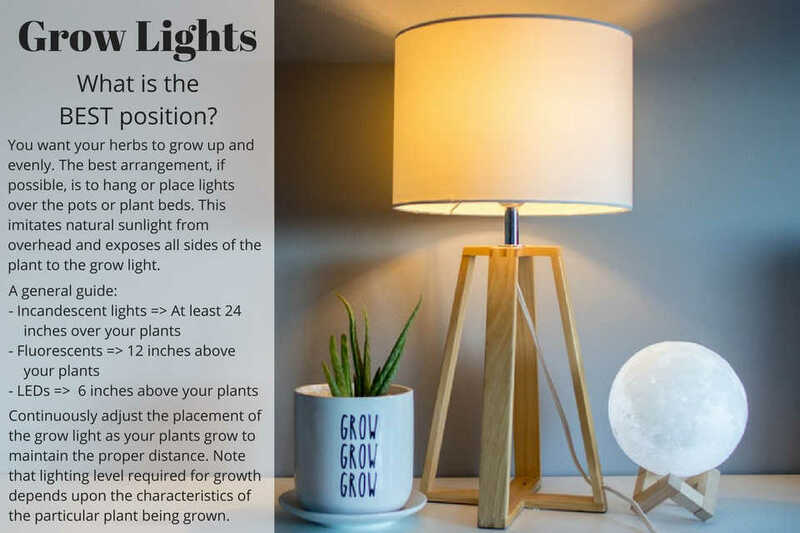 I have also written an article on using grow lights and on growing indoor plants and I think for the most part this is a pretty cool way to garden indoors. 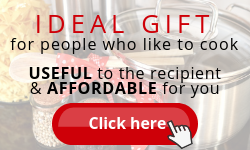 Your post is well detailed and has tons of good information. Thank you for dropping by and the kind words. Glad that we share the same passion in gardening. This post is exactly the information I have been looking for a long time, I have been trying to grow herbs in my home which works well during the warm season months, but one winter arrives my herbs barely survive and now I know why. 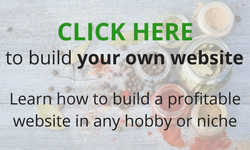 I thank you for writing this post and providing the products to solve my winter herb growing problems. I am glad you find this article useful, Jeff. 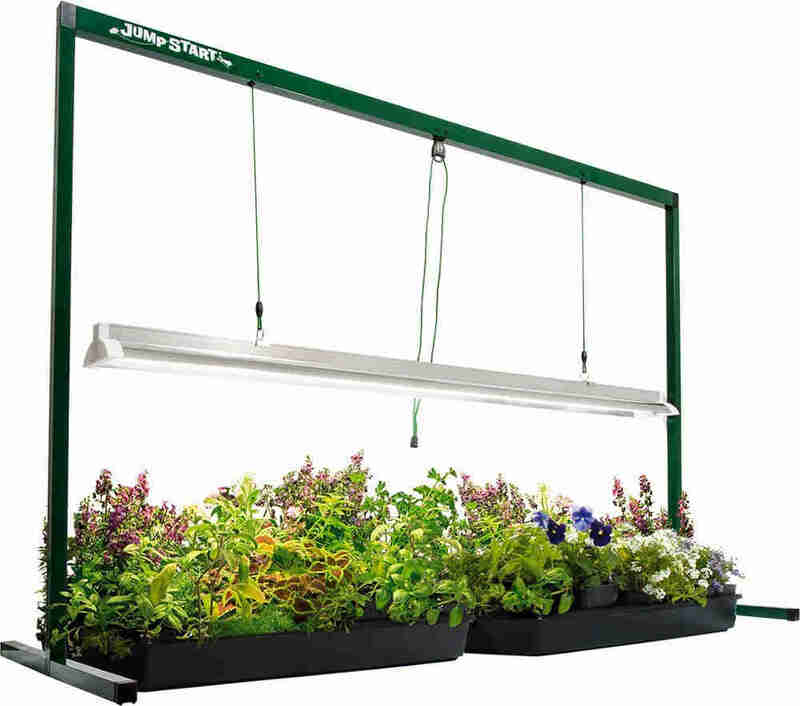 With the help of grow lights, you will have herbs at your fingertips all year round. Isn’t it wonderful? Get your grow lights ready before winter comes. I know it is rather early but bookmark this page for time passes really fast. I’ve been looking for a budget version of grow lights for my wife’s herb growing project, but I didn’t realise how reasonably priced the higher end level of lights are – thanks so much for this information! One question I have is about the energy consumption on these higher end lights – what’s it like on your overall electricity bill? Are there environmentally friendly setups? The energy consumption depends on what system you are using and how many hours used per day. This power usage calculator may help you figure out the approximate cost. From what I have gathered, LED grow light is eco-friendly because it is designed to emit light over very select frequencies. Plants only need these selected frequencies to grow healthily. By controlling the colour of the light, energy won’t be wasted to produce unwanted colours. Moreover, LED lights make less heat than conventional grow lights. More heat means plants will dry out faster and more watering is needed. I hope these information will help you select the best grow light system for your wife’s herb growing project. For sure, natural sunlight is the perfect balance of wavelengths necessary for plant growth and blooming, but you can also as you said use artificial light to help your plants along. In fact, low-light foliage plants (such as pothos and peace lily) can grow quite nicely in windowless offices with enough artificial light. Ultraviolet (UV) light has among the shortest wavelengths in the light spectrum. Although the sun radiates ultraviolet light, most of it is screened by the stratospheric ozone layer so it does not affect plant growth. Thanks for sharing your knowledge here, Karim. I am sure other readers will learn from this. Much appreciated. I have long been toying with the idea of building my own indoor green house and have met some challenges when it comes the lighting requirements for European winter conditions. A really big question that has been lurking in the back of my mind is the energy investment to grow plants vs the cost of purchasing the plants at the grocer. Are you able to offer any assistance on the topic of energy investment to grow and what scale one needs to produce at to make it economically viable? Honestly, I never give it much thought about energy investment vs buying fresh herbs. 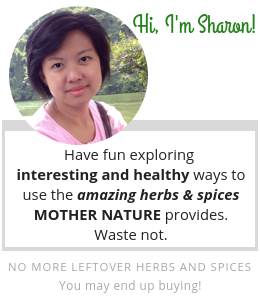 As a home cook, I want to have fresh herbs at my fingertips all year round. I may buy from the local supermarket, yes but they always sell in bundles which is more than I need for cooking and I dislike wastage. Depending on the season, some can be pricey. I love to grow herbs on my windowsill but light is limited so I have mixed results. Particularly I like to grow basil for making fresh pesto sauce. It seems from your information that I need to purchase a grow light. The Sun Blaze T5 Flourescent grow light looks like it could work, I need to work out how I can set it up. The Sun Blaze T5 grow light comes with all the necessary brackets to install. The only challenge I foresee is that you will need to find the ideal spot to hang it and it should be near a power outlet. You may install it under a shelf or hanging cabinet. 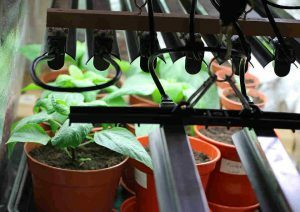 Alternatively, you may want to consider using the T5 grow light system that comes with an adjustable stand. Should you need further help, please feel free to contact me here. I love basil too. I have them all year round. Simply add them to my green salad or pasta dish. Thanks for this review. It was very informative. Some type of environments makes people to grow plants indoors and plants generally require sunlight for their growth. Since sunlight doesn’t have much access indoors you can say that artificial sunlight or man made sunlight for the plants have been produced and some good examples has been listed above. Hey Sharon, sometimes its uncanny how information I’ve been looking for just seems to flow to me, as though the universe knows what I need! It’s heading for summer this side in South Africa and I’m attempting my first herb, lettuce & cherry tomato pots – but I live by the ocean and its always so windy here – which is why I thought growing them inside would be an option. The only problem would be sufficient lighting. I’ve read about grow lamps before but they’ve always scared me off with figuring out how to install or mount the whole lamp setup. I really realllly like the look of the dual head led grow lamp – I love simplicity and I can’t wait to get started – thanks so much for this! Do you have any green thumb tips for total noobs like myself that will help my first attempt succeed? I used to think that I need a green thumb to grow – no, not necessary. Honestly, I don’t have it. My husband is a much better plant grower than I. But when it comes to herbs, I grow them myself. Now, I have basil and mint all year round. 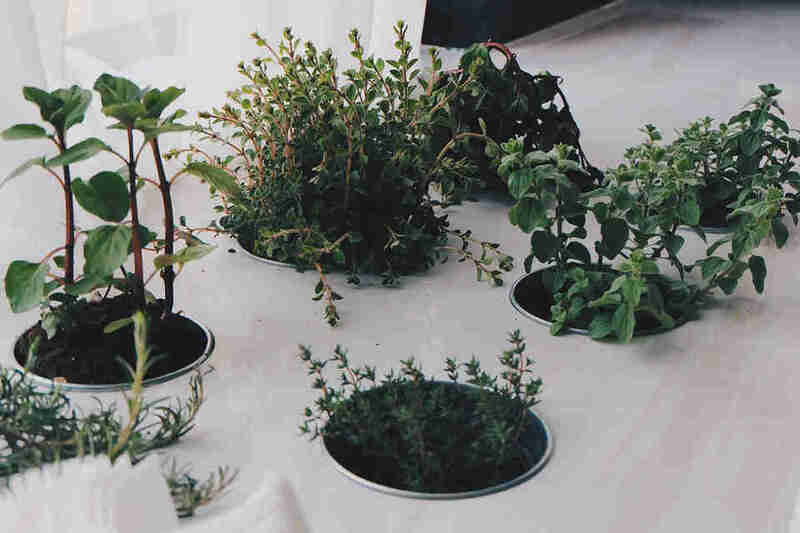 I have written an article on how to grow indoor herbs all year round. You can read it here. Alternatively, check out the indoor herb started kit for beginners. This can be a fun project. 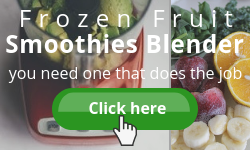 Let me know how it goes for you and if you need further help, feel free to contact me here. Thanks for the informative post, Sharon! It’s great to know that the real problem with the growing process of indoor plants is not sufficient natural sunlight but the best grow lights needed. Thanks for making it known that, with the herbs that can grow indoor and year-round, their growing process will speed up. Kudos for a selection of the grow lights explored that give the indoor plants all the needed lights! Thanks for introducing the most cost-effective grow light, which is the Incandescent grow bulbs, and for stating the product specifications! I think I would like to go for this one. Much grateful! Hi Israel. I am glad you found this useful.